Rodents like mice and rats can cause serious damage to your home and make your life miserable in the process. Rats, especially, are extremely cunning and wary of efforts to catch them. Once they take up residence, they’re not easy to get rid of. Rats are carriers of disease that have the ability to make humans very ill. These diseases can be passed along, not only by the rodent itself but also through its feces and urine. In addition to the diseases they carry, they can also bring parasites and other pests into your home such as ticks, fleas, and lice. Rats colonize in attics, crawl spaces, inside walls, roof voids, and under porches, and are able to access extremely small, hard-to-reach spaces with relative ease. They are able to nimbly avoid traps and bait, making them extremely hard to catch and even more tricky to eradicate completely. Mice may be much smaller than rats, but they can still do a lot of damage. 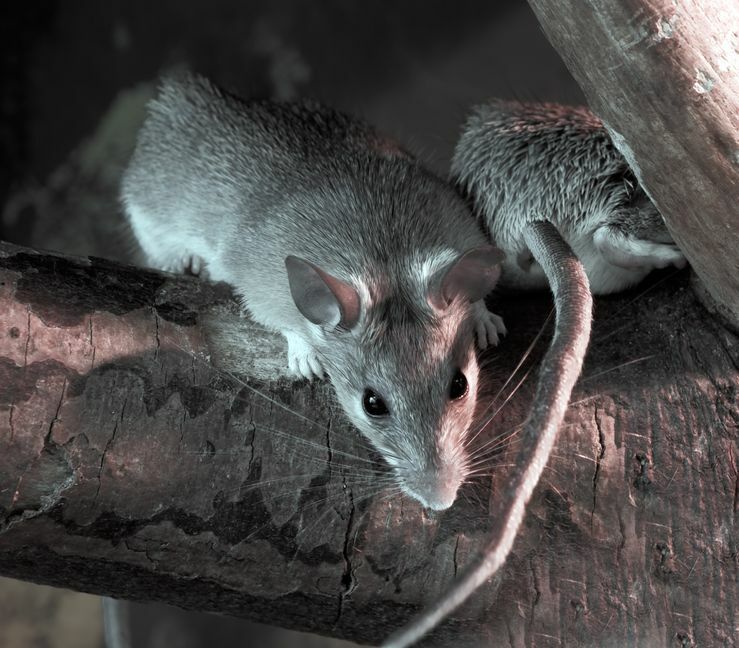 Mice are highly prolific, with some able to produce 200 or more offspring in just under four months. They live in your walls, feeding on the items in your pantry or whatever is available. They contaminate food and can pass disease along to humans that way as well as through the parasitic insects that live on them. Once there is evidence of an infestation, the first order of business is to remove the vermin from your building. We use many techniques to trap rats and mice, including snap traps, glue boards, and bait stations that are placed around the building’s perimeter. We then ensure that your home is inhospitable to future populations by blocking entry points and removing sources of shelter, water, and food. If you have rodent issues, you need to act fast to prevent further damage. Call us right away to schedule an inspection.